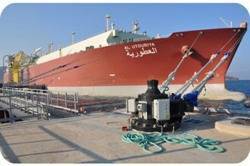 RasGas of Qatar announced that it achieved yet another successful milestone when the first Q-Flex vessel delivered Liquefied Natural Gas (LNG) at the Barcelona LNG receiving terminal, Spain. It is not only the first RasGas Q-Flex vessel to discharge LNG at the Barcelona LNG receiving terminal but, it is also the largest the terminal ever received. The LNG cargo was delivered aboard RasGas long-term chartered Q-Flex vessel the Al-Utouriya. The cargo is part of RasGas’ long-term LNG Sales and Purchase Agreement (SPA) with Endesa Generación, S.A.
“LNG is increasingly becoming the fuel of choice to meet rapidly expanding energy requirements globally based on its environmental benefits, flexibility, reliability and competitive cost. We look forward to continuing to support Spain and the rest of our customers globally with their energy needs and will continue looking for opportunities to expand our market reach further in the future,” he added. The RasGas integrated shipping fleet consists of 27 LNG vessels, ranging from 14 conventional sized tankers to some of the worlds largest state-of-the-art LNG tankers, – 12 Q-Flex tankers (between 210,000m3 and 217,000m3) and one Q-Max vessel with an LNG cargo-carrying capacity of 266,000m3.